It’s been 60 years since Luigi’s Tavern first opened its doors at 5119 Asbury Avenue in Tinton Falls, Monmouth County, New Jersey. The long-standing bar and restaurant was originally built by Luigi Menditto in 1958-1959 and was known for their cold drinks, delicious thin-crust pizza, warm atmosphere and loyal customers, the establishment soon became a local’s hangout, frequented by the Tinton Falls community who appreciated the memories and the history that the site carried with it over the years. On June 1, 2018, the Menditto’s served their last drink at the establishment. Luigi’s has been sold according to Richard R. Santore of Bielat Santore & Company, Allenhurst, New Jersey, the broker for the sale. For the past 38 years, Luigi’s Tavern has been owned and operated by Luigi’s son and daughter-in-law, Rudy and Barbara Menditto. 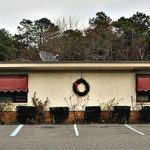 When the hard-working couple felt that it was time to finally retire from the business, they contacted Allenhurst commercial real estate firm, Bielat Santore & Company to help them sell. The Menditto family had been no strangers to the restaurant industry since before their journey began at the tavern. Dating back to 1932, when the national government abolished prohibition, Luigi was among the first to receive a consumption license from the City of Asbury Park. It was then that he opened a successful bar, Lou’s Tap Room at Railroad and Cookman Avenues, later followed by Eatontown eatery known for its live entertainment, The Greenbrier, and then Lou’s Tavern in Tinton Falls. The new owners, Chris and Tania Calabrese, jumped on the opportunity to take over with aspirations of transforming Luigi’s into a fresh, new, Italian restaurant and bar. The seasoned restaurateurs gave the property a complete design overhaul, while still maintaining some of the previous restaurant’s unique charm that customers have enjoyed for years. On Wednesday, November 28, 2019, Nettie’s House of Spaghetti celebrated their grand opening inviting guests to try out their plant-based menu sprinkled in with old Italian classics. With seating of up to 80 people between their dining and bar area, the restaurant is open for dinner on Wednesday and Thursday from 5:00 pm to 10:00 pm, Friday and Saturday from 5:00 pm to 11:00 pm, and Sunday from 3:00 pm to 9:00 pm. Visit their website to view their complete menu at https://www.nettiesrestaurant.com/. Click here for the full PRWeb Press Release.